Hopes Haven began as a dream for our founder, Marsha Chambers. A televised news story about a case of obscene animal abuse broke her heart. Video of the scene revealed several deceased and emaciated dogs. Of those still alive, only two were determined to have any chance of survival. Marsha, called the humane society where the dogs were taken and asked if a terribly emaciated Doberman on the newscast could be held for her to adopt if she survived. 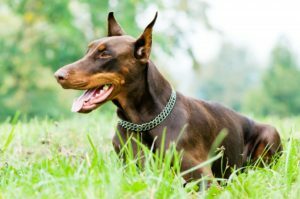 Caregivers named the Doberman Hope. Hope’s life had been one of being chained inside a barn and forced to have litter after litter of puppies, all while rarely seeing the light of day. Although Hope never did fully recover. She did indeed survive and lived with Marsha for almost thirteen months before she died. Hopes Haven is a tribute to her and to all the innocent dogs that have had their trust betrayed by unworthy guardians. While Siberian Huskies and Alaskan Malamutes in need are the breeds of focus, Hopes Haven will rarely turn away a dog in need. We love dogs of all breeds and believe that any homeless animal deserves a second chance.